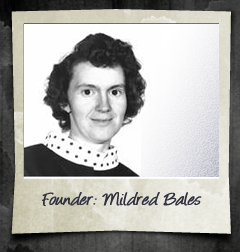 Bales Termite and Pest Control was started in Newport News, Virginia in 1954 by Benny and Mildred Bales. 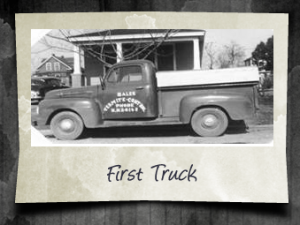 We began with one Ford truck, a homemade pump, a big dream, and a lot of hard work. Benny did most of the service work and Mildred handled the office. Along with the growth of the company and moving two children came along. Phyllis in 1955 and Keith in 1960. Benny passed away as a very young man of 36 after many years of developing a strong business with excellent community ties. Mildred continued the business, and Keith entered full time in 1978. Bales Termite And Pest Control has been owned and operated by Keith and Debbie Bales. The next generation to follow in the challenging business, providing top level service at a fair price. Brian Keith Bales, 51, passed away peacefully at home, Monday, June 4, 2012, after a courageous battle with cancer. He was born Oct. 11, 1960, in Newport News. He is survived by his wife of 33 years, Debbie B. Bales; one sister, Phyllis B. Jones (Gerald), of South Boston, Va.; his mother, Mildred S. Bales, of Hampton; one niece, Chrystal J. Bucchioni (Josh), of Williamsburg; and a host of other relatives and friends. 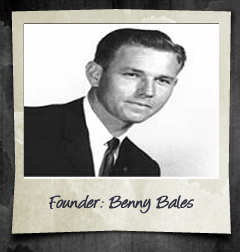 He was preceded in death by his father, Benny E. Bales, founder of Bales Termite and Pest Control, which will continue to operate as it has for the past 58 years. The Bales team will continue to carry on his legacy. His body was donated to science for medical research. A celebration of life was held on June 10, 2012, at New Branch Community Church, 9608 Windsor Blvd., Windsor, Va., off 460. Since Keith’s passing, Debbie continues the legacy she and Keith worked to build in Bales Pest Control.